Dear User, please mind that we don’t save any materials uploaded for plagiarism analysis in our database. The percentage of plagiarism is calculated based on matches with available resources in the web. You can look at the full price list for different kinds of papers at the “Prices” page. Order an academic paper here! In modern conditions, plagiarism has become a serious problem for higher education systems in all countries of the world. According to the majority of opinion polls and experts' opinion, extensive unscrupulous borrowing is contained in more than half of the work of students of various specialties. Luckily, now teachers can use safeassign plagiarism checker online for free, which detects unoriginal content in students' papers by identifying areas of overlap between submitted assignments and existing works. Written tasks increasingly turn into an imitation of the learning process, which calls into question the quality and competitiveness of higher education, which does not give many students a fundamentally new knowledge, even compared to secondary school. It raises serious doubts about the feasibility of the state covering the costs of training a very large number of students while maintaining a low pay for teachers, who also sometimes steal works. But there are dissertation plagiarism checkers, so that can be revealed as well. Is Safeassign Check for Students Really Necessary? There is not much special research about the prevalence of plagiarism. Most of them are concentrated on the situation in universities, on the problems that are associated with the desire of students to "ease their own lives." The real educational process today goes hand in hand with plagiarism in all universities in the world. The main assistant of students is the Internet, which makes it possible to quickly find information on the right topic and use it in preparing any task. The statistic says that no less than 80-90% of students download courseworks and abstracts from the Internet and 50-60% of them download diploma papers, at best - rewrite the works from several books and textbooks. On the other hand, it is becoming easier to detect the fact of theft, using assignment plagiarism checkers that compares the work submitted by the student with thousands of other works. Students often violate the generally accepted rules for writing research papers simply because they are not familiar with them. In addition, universities adopt their own "codes of ethics", which clearly indicate which student's research activities are permissible and which are not. To ensure that such codes are better respected, the students themselves are involved in their development. Together with university plagiarism checker verifying each job submitted for plagiarism, these measures make it possible to maximize the degree of originality of student works. So, what exactly pushes students to plagiarism? We can distinguish two groups of factors - involuntary and intentional plagiarism. The reasons for involuntary plagiarism were mentioned above. They can be summarized as ignorance of the students' requirements, which their work must comply with, and how to fulfill such requirements. The student can spend a lot of time reading the literature on the topic, but the result won’t be good if he does not have his own opinion. However, the most important thing is that the student does not compare the efforts that he will be putting to write his own text, with the costs of plagiarism. In a number of cases, the resources spent on plagiarism may exceed the resources spent on creating your own text. The college paper plagiarism checkers usually shows the ratio of keywords (phrases matched to popular search queries) to the total volume of the text. The indicators of spamming are divided into several levels. If the value lies in the range of up to 30% - this is the norm, from 30 to 60 - is not critical, although it shows that this is deliberately optimized text. If it is higher than 60% - you need to rewrite. Water means the percentage of words and phrases in the text that do not carry any semantic load, these are stop words, phraseological units, verbal turns and connecting words. Just like the drowsiness the "water content" of the text is determined by several levels. Up to 20% is considered to be the norm; if the water is more than 30%, then the material should be rewritten. Another reason to check the text in plagiarism checker is the search for mixed words. "Mixed" refers to words that contain similar characters in writing, belonging to different keyboard layouts. In simple terms, to enhance the uniqueness of the text, writers can replace the symbols of one alphabet with the signs of another. What is a Professional Plagiarism checker? for master's theses were limited to 60-70%, for courseworks - 50%, and for works of the lower rank they were not to be presented at all. Currently, not only does the minimum percentage of required originality increase, but also most institutions require testing the works in various systems. Effective plagiarism document checker is a tool for checking texts for uniqueness and quality. Using a sophisticated pattern subtraction algorithm, the robot determines the content part, divides the text into logical phrases and determines whom their authorship belongs to. 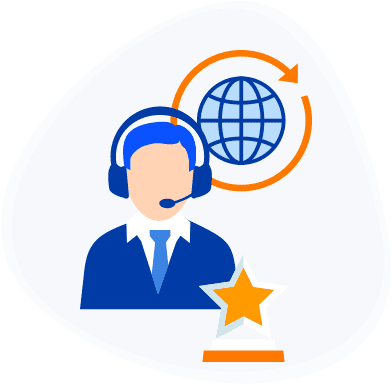 The primary purpose of the anti-plagiarism service is to detect the theft of content by competitors, to which its authorship may pass, and your site will become only a duplicate and will never take the leading positions. Uniqueness checking services operate according to similar principles. The client needs to download the document, the text or the link to the resource and wait for the search results matches. Usually, the problem areas of uniqueness are highlighted in colors. Depending on the service, the color designations may differ. Some plagiarism systems divide the analyzed text into sentences of 3-4 or more words in length and drives them into a series of search engines. If there is a site with the same sequence of words, then a piece of text is automatically considered unoriginal. 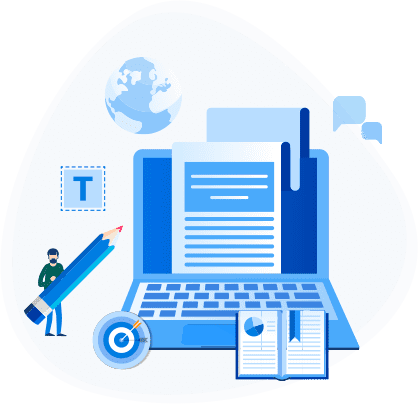 There are services that are primarily used by specialized sites where customers are looking for freelancers to write articles, mainly for filling the pages of sites. Although, nowadays plagiarism checker is used by universities and school teachers also increasingly operate with various originality verification systems. In a world where the Internet is becoming more popular, new sites are appearing daily and efforts need to be made to fill in the content. The main problem with creating a site is the uniqueness of the content. It does not matter what you write for your site or order from a copywriter, you still need to use the article plagiarism checker. In the past, in order for the material to be considered unique, it was enough to change the words in a sentence to slightly change the matter. Now search engines are interested in giving the user unique, author's material. And not just the word order is analyzed, but even the similarity of synonyms and the text structure. Therefore, the text should be original and meaningful, so that your website is always at the top. Many users racing for uniqueness try to just make a compilation not from one but from several sources, or use special programs-synonymizers which are actually helpful sometimes. They find synonyms for all or some words, sometimes surprising with their effectiveness. However, in most cases, after using such programs, the texts require very serious improvements and corrections. There are online plagiarism checkers with reports that help make the text more unique, without sending paid SMS and even registration on the site. They have extremely advantageous options, helping everyone to find many variants of writing the same sentence without changing its meaning. Synonymizing and rearranging words in places will not help to bypass the verification, since most plagiarism checkers apply the lexical analysis of texts. Replacement of letters in words with symbols from another layout will also fail as the best plagiarism checker will easily find and allocate such places. Adding "extra" words, for example, additional definitions also does not help to deceive a clever program as such areas will be identified quickly and simply. To make the material truly unique, it is better to use not one or two, but five or seven sources, from which you can learn the most important information. Read, analyze, then write down your personal thoughts, get rid of conventional stamps, and you are guaranteed with good results. Use your own imagination and vocabulary, and write the texts yourself. Try to change phrases and you will see how quickly everything changes for the better in percentage representation. Note: it sounds easier than it really is and the problem of plagiarism goes much deeper. For instance, modern educational systems expect too much from kids in schools, and it is no longer surprising that almost every teacher uses a school plagiarism checker. The educational programs are getting more complicated with each year and children are overloaded with tasks and assignments they can’t actually manage. They have no other choice but to learn how to use safeassign free, so that they can accomplish their assignments qualitatively and fast. To enhance the uniqueness of your work, start the changes from the very beginning since it is from there that all other problems begin. Search engines, first of all, check the beginning and "see" where it could be copied from. In the middle of the text it will be enough to change the case, time, replace words with synonyms, more readable and capacious. The final part of the text is no less important than its beginning, therefore it is worthwhile to work on it, and if necessary, rewrite it completely, from the first and to the last word. Note: when adding links to other articles and websites, the uniqueness of the text only wins when you run it through the percent plagiarism checker. You should always remain yourself and write texts exclusively from you. Use the introductions, conclusions, lists, links, and everything that can come to your mind, the main thing is to achieve the necessary readability and uniqueness, and with a certain level of understanding of such processes, it is quite feasible. When using the paper plagiarism checker online, you can check your text for spamming. Most often spam occurs in poor SEO texts, where there is a big percentage of key phrases with a small amount of the material itself. This often affects product cards and category descriptions in online stores - there are a lot of keywords to enter, and there is not much room for the text. Another indicator of spamming is the distribution of keys in the text. Don’t let the keys meet in two sentences in a row. They need to be evenly distributed throughout the text. The optimal distance between occurrences is 300-400 characters. Otherwise, search engines can count the material as substandard and it will not fall into the top ten of the issue. How Should the Best Plagiarism Checker Work? The success of the site ranking by search engines directly depends on the uniqueness and usefulness of the information published. The check for originality and the publication of new content will improve the attendance of the site. And the original and informative content of the resource will help interest users. After all, considering how many websites exist on the Internet nowadays, it is almost impossible to write an article with high text uniqueness from the first attempt. We have to write, check, correct, and so on until the text is 95-100% unique according to an essay plagiarism checker. These figures are ideal for the content, which should be laid out in a worldwide network, for everyone to see. In addition, original and quality content must meet other characteristics: not be too advertising, be reliable, interesting and visually organized - contain photos, videos, infographics, multimedia or audio. In general, contain everything that will somehow decorate the text. There is a huge number of web plagiarism checkers offering to check your site for uniqueness. The task of such services is to build a transparent and reliable system of cooperation between the buyer of the content and writers. Also, many of them offer a multifunctional and effective work tool that will allow customers to get quality materials, and performers a reward for their work. Replacing frequently repeated words can lead to the fact that you have to change the whole sentence, and this is another story. This method is suitable if the text that is very simple and will not suffer from synonymization of individual fragments. Sometimes you can just throw out the unnecessary: ​​extra occurrences of keywords, bulky constructions, uninformative text. It's a long and difficult process, but in the end, you get good and useful content. If you combine two sentences into one, removing the extra entry of a key phrase, try to minimize the text as much as possible. Sometimes you can replace the recurring word with a pronoun. The volume of the text can be increased with the help of additional useful information on the topic: detail each item of instruction or list of its advantages, adding examples and facts. Of course, everything has to be done with accuracy, determining firstly how much these detailed explanations are generally appropriate. The SEO text spamming coefficient that the paper checker for plagiarism reflects, shows how often the keywords occur in the text. If it exceeds the threshold values, then the material is spammed. This means that the page can not get to the top of the SERP, because the search engines strictly follow the quality of the content. Reduce the confusion of the text: replace the most popular words with synonyms, simply omit them or add more text. The optimal value of the use of repeated words in the text (including word forms) is considered to be 3.4%, according to websites for plagiarism checker. If the indicator is higher, there is a probability of the page being hit by the search engine filters for re-optimization and oversampling. Services for verifying texts show the values ​​of these indicators. For different subjects, the norm can be different. But the uniqueness of the text should be above 90%. Otherwise, the page with a non-unique article will not be placed on the first page of the issue. And all efforts will be in vain. How to use Online Plagiarism Checker? provide the option of viewing pages when the text matches, which is very convenient to find out, for example, where the copies of your article are. search for synonyms, spell check, replacing words, etc. The checks are usually carried out quite quickly. All verified texts and test results will be stored in your account and protected from viewing. Objectively, Google does not know how reliable your text is, whether it's interesting, or what's pictured in the image. But it monitors the behavior of users, if they do not find your content useful, the search engine will delete you from the list of favorites. Thus, plagiarism site checkers that are free and aimed at making your work easier, are also aimed at making your content more qualitative. Find a chance to work with this data, use different services for comparison and constantly analyze the results. How Can Safeassign Help Write Plagiarism-Free Content? Plagiarism on the Internet is perhaps one of the acutest problems that are inherent in the developing sites and sites that already have established sources for obtaining and demonstrating copyright materials and the preservation of their authorship. One of the most developed forms of plagiarism is the theft of someone else’s texts. This is primarily due to the fact that accessibility and, in general, the lack of control over the information leads to the fact that almost everyone can use the provided material at their discretion. Using the paper plagiarism checker, we can immediately determine whether the text is original or stolen. However, the quality of content is not less important than its uniqueness. It is one of the most important indicators of websites ranking, otherwise so many detailed studies in this area would simply not be conducted. The most obvious way to get unique content is to have it written by journalists or copywriters, who rewrite the already existing content. Although, when hiring a copywriter consider using the resume plagiarism checker, to check his CV in forward. Usually, the term "rewriting" means working with text, more precisely - its literary processing while preserving the original sense of a narrative. Despite the fact that rewriting is considered cheaper and less creative work than its fellow copywriting (that is, the writing of unique, author's texts), there are also rules that must be strictly observed. One of the many advantages of hiring a copywriter is that those writers can manage almost any subject, even if they’ve never heard of it before. For instance, if your Internet resource is designed to advertise and sell specific equipment, then a professional copywriter is likely to use the rewriting of specialized articles on this topic when writing such a text. He will read, learn, analyze and write the new original text. Also, the copywriters always use the best plagiarism checkers for research papers, articles, essays or whatever they need to write. Why is it important to know the details of creating and protecting unique content? Because, as it was already mentioned, text (content) of the site is the most important tool for its SEO-optimization and promotion. If you want to compete on an equal footing in a virtual network, it will not be enough just to provide basic information about your company. You have to write unique and informative articles. This also concerns students. To be successful, they have to write the works themselves and always use student plagiarism checker. The text should be unique and trustworthy. The more practical examples and facts you provide to prove your case, the more credibility you’ll gain. Use only objective data, such as statistics, research, experiments. If you want the reader to read the article to the end, intrigue him with new knowledge in every paragraph. To make it original, use a professional or academic plagiarism checker. The text should be written in an unobtrusive, simple language. Do not complicate the sentences and do not use extra perplexing words. If there is an opportunity to replace a compound word with a simple one, do it. Provocative style of writing is also inappropriate. There is a great probability that the reader will not read this text until the end. Alternate long sentences with short ones. It is proved that the article is easier to read if long sentences alternate with short sentences. Start writing the text with short sentences exclusively, and they will quickly turn into a set of statements that are not interesting to read. Remember, the writer is a creative profession. Use the language according to all rules of spelling. Build the sentence so that the most important words are located either at the beginning or at the end. Do not repeat the same words in one paragraph. Use text design, pictures, video, audio content. The creation of original graphic materials will not only enhance the uniqueness but will also attract the attention of the audience. Complete each section of the article with information. The most logical parts are separated from each other by subheadings. Before using the plagiarism checker for free, you need to clean the text from errors. In general, bring it in perfect order. Usually, when the words are written with errors the algorithm perceives them, and therefore the entire text, as unique. The length of the text is very important. Some believe that the optimal length for an article is 1500-2000 characters - this is enough to provide all the necessary information, keeping the text relatively short and readable. This is true and false at the same time. The thing is that each topic, each issue, as well as various social networks will have their own ideal parameters for the length of the post. But much also depends on the type of request: whether it is commercial or informational. To find out how long your text should be, analyze the texts of your main competitors for specific queries. Readability is considered one of the most important criteria when it comes to evaluating the content. Typically, if the content is targeted at users who are not specialists, it should be relatively short, easy to read, informative and easily perceived. You need to write so that the reader can not tear himself away from the text. Under no circumstances. Work on a full-text structure (so that it does not look like a solid wall), use headings, subtitles, paragraphs, and lists where necessary. Usually, a good online plagiarism checker for research papers that is free, always shows how complicated your text is. Search engines prefer well-structured content - it ranks higher than regular text. Do not worry if your audience, and therefore the content, will be narrow-minded. Most likely, you will not compete with popular content, and people will find your site on low-frequency search queries. To assess the readability and informative nature of the text, use a special service. It will help clear the text of verbal garbage. Insert the text and correct the errors that the service will highlight. Completeness of topic disclosure. Your content should be devoted to the topic of the article, not the keywords. Do not try to perfectly fit the right number of keywords in a specific place. Remember, holistic content is a mixture of connectivity and relevance. Your main goal is to fully unfold the topic, and not write as much text as possible. As for the selection of keywords, each topic should correspond to a certain group of narrowly interrelated key phrases. If you want to focus your content on one key phrase, the text should be complete and not oversaturated with the key. Instead of repeating the key again and again, find similar keywords and make the text as varied as possible. To find these words, you can use the good old Google Keyword Planner tool. However, the scheduler has one significant disadvantage - often low-frequency signals are not shown here and the data is just not enough. Uniqueness. The universities now use the best plagiarism checker for college students. The concept of uniqueness has recently broken into two categories: technical and semantic. It is believed that technical uniqueness is a relative parameter that determines how many percent of a certain text duplicates other texts available on the network. And the semantic uniqueness differs in that when it is determined, the general meaning of the text, its usefulness and information content are taken into account. And the last definition is gaining popularity, because Google has become smarter, and even approached to determine it (according to the official position). How he does it? 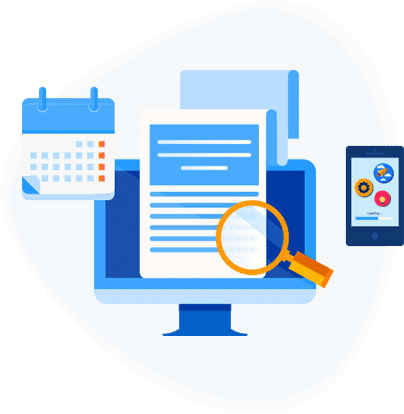 With the help of latent-semantic analysis and criteria from the assessor (representative of a search engine that manually evaluates the quality of issuance. Anyway, free online plagiarism checker for students with percentage can help you understand what uniqueness is and how to achieve it. It is known for certain that the text, which is checked by special programs (by the method of technical uniqueness) and received there a high level of uniqueness, may not be unique in the "eyes" of search engines. However, there is nothing to be done about it. You'll never know for sure that the text will fall into the top due to its high uniqueness with a 100% probability. And besides, do not forget that the uniqueness of the text is just one of the signs. All the signs are evaluated in a complex, on the basis of which the conclusion is made whether the content is relevant or not. Literacy. It would seem that the trite and unremarkable factor is literacy. It is obvious that there should not be any spelling, grammatical or punctuation mistakes in the text. Learn to write without mistakes. It is important. It is not necessary to keep a special editor in the staff, so that he checks each of your texts, just treat everything responsibly and use special services. Free plagiarism checker for students can help them solve this problem during studying so that they don’t do silly mistakes in their works. Viral. The best thing that can happen to an article, is if it is actively shared in social networks and with friends. The most viral content on the Internet is provocative, contradictory and often funny. Create viral content of mass destruction! However, we do not claim that you should create texts solely for these parameters. Learn the rarest content of your competitors to find out exactly what your target audience is interested in. Plagiarism, being a punishable violation, always existed on the internet. And it is unlikely that it will ever completely disappear from our lives. In Latin, “plagio” means stealing. This word gave birth to such a definition as plagiarism of something. Once it was just a general phenomenon, now plagiarism is even more topical. The problem of plagiarism is especially acute now, at the time when the real world is in close symbiosis with the virtual world. The universities are lucky that free online plagiarism checkers for students exist, and teachers can check the uniqueness of students’ works. However, as the Internet has become very accessible to almost everybody, both technically and financially, students don’t stop stealing. So, what does it mean to understand the term plagiarism? Borrowing other people's ideas? Plagiarism is not so much an adopted idea as a complete copying of its execution, its individual filing. Of course, plagiarism is a crime that leads to criminal liability. But, unfortunately, due to insufficient development of technologies for tracking users, it is quite difficult to identify the fact of theft in the global network. There are many examples of how editors of papers or magazines use the Internet materials, immodestly publishing whole pieces of other people's work under their own name. This problem is especially acute for a novice web journalist or writer. In these cases, the presence of a handwritten draft can serve as an indisputable proof of authorship. Yet most of the unique articles exist only in electronic form. So, how to protect your content from a plagiarist? Paper plagiarism checkers that are free, allow checking the text for plagiarism, and, in case of finding copies, the author can take appropriate measures. This is a definite plus, but one should not rely entirely on such protection. The author himself must first take care of his art, periodically updating the content. And, in the end, it's better to always post your own individual articles on relevant sites, than to wait until it's illegally copied by Internet thieves. Another type of theft in the web-space was fixed relatively recently. There is plagiarism in using the plots of films, series, literary works as a basis for creating computer games. Unfortunately, there are even fewer definitive legal aspects on this issue. The problem of plagiarism is widely spread on the Internet. The search for plagiarism texts are often carried out with the help of the same search engines. Since they index the contents of the entire Internet, it is not difficult to identify similar documents. Of course, there are organizations that struggle with plagiarism in different ways. Sometimes they immediately go to court, then the chance to win the case is quite high. Preventive measures are the most effective. Instead of fighting the consequences, do not let the thief find yourself in the search engine index before you. Provide fast indexing (Twitter, regular updating of content on the site, publication of announcements in bookmarks and the purchase of links from news portals). Demonstrate your right to text in search engines. In Google such an opportunity is within the tools for webmasters. All webmasters regularly check the content for originality. The customer checks the uniqueness of the work before buying. The amount of written text on the Internet increases in geometric progression. Soon, there will be no phrases that have never come across in the past. We have to pay serious attention to verification and control. In this case, special analyzers help out. Note: another way to protect information can be to create various locks using various programs and methods to block the "right key" in the mouse. However, this is not so effective, but still has the right to exist as one of the methods. To protect the image, you can apply various watermarks and place them in a reduced form, which in general can favorably affect the security. Speaking of students, they may be involved in the theft of other people’s works more than anybody else. However, using free plagiarism checkers online for college students became very popular during the past several years and it shows they are trying to solve this problem themselves. The uniqueness and relevance of content have become not just ranking factors. Algorithms of semantic analysis from the main search engines have advanced far ahead. It is important to understand that simple uniqueness is now not enough for a search engine to “like” your text. Google is constantly improving the methods for assessing the relevance of the text to a particular query. Speaking very roughly, your text should have its own style, the speech should be live - abound with synonyms and non-standard phrases, and the topic should be maximally disclosed in comparison with competitors. Adding something new and useful to text content, you increase the chances of a better ranking. Often the site that has copied the text from your resource can be indexed faster and it will be considered the primary source. This is a fairly common problem for online stores. in each sentence, answer the specific question. For the internet marketers, SEO professionals, copywriters, and entrepreneurs it is especially important to understand what is uniqueness and what is plagiarism. This parameter shows how the information, that is ready to be published on the site, is new to future visitors. The uniqueness of the text is divided into two types. The first is technical uniqueness. This is what the plagiarism checker determines. The technical uniqueness of the text can be achieved by changing the structure of the text, replacing key elements with synonyms. The second kind of uniqueness is semantic. This type of uniqueness is more difficult to achieve, as topics should contain at least a new approach to presenting information and author’s personal opinion. It is not superfluous to dilute the text content with unique graphic material, complementing the article. Qualitative and unique content is one of the keys to a successful promotion of any website. That's why a good free online plagiarism checker with percentage board of unique text should always be at hand. The service will allow you to get a detailed analysis of the text and determine the originality of the article in percentage. There are many services for checking the uniqueness of texts. You can use them both for self-written materials, and for those that you order from copywriters. Checking for uniqueness is one of the important steps in compiling literate and professional text content for the site. It will help to avoid the appearance of non-unique materials on the Internet overall. If you use already published content, while the technical uniqueness of the material is below 40%, then the search engines will not allow your site to advance further 20-30 pages of the issue. The reason is that your material will not be of use to visitors. However, according to the latest research in this area, it is not necessary to achieve the 90-100% of uniqueness. More technologically advanced sites with new design solutions and a thoughtful user interface on which the original graphic content is published can afford to fill the site with content with the 60-80% of uniqueness. Until now there is no reliable way to protect content from thieves, except running it through the research paper plagiarism checker, determining/fixing its author and hope no one will steal it. Each of the prevention methods may not work correctly. Many webmasters are faced with the problem where they begin to steal content and post it on other Internet sites without specifying copyright and authorship and even without putting back a link. If you do not start to struggle with this problem, your work will be exploited again and again.